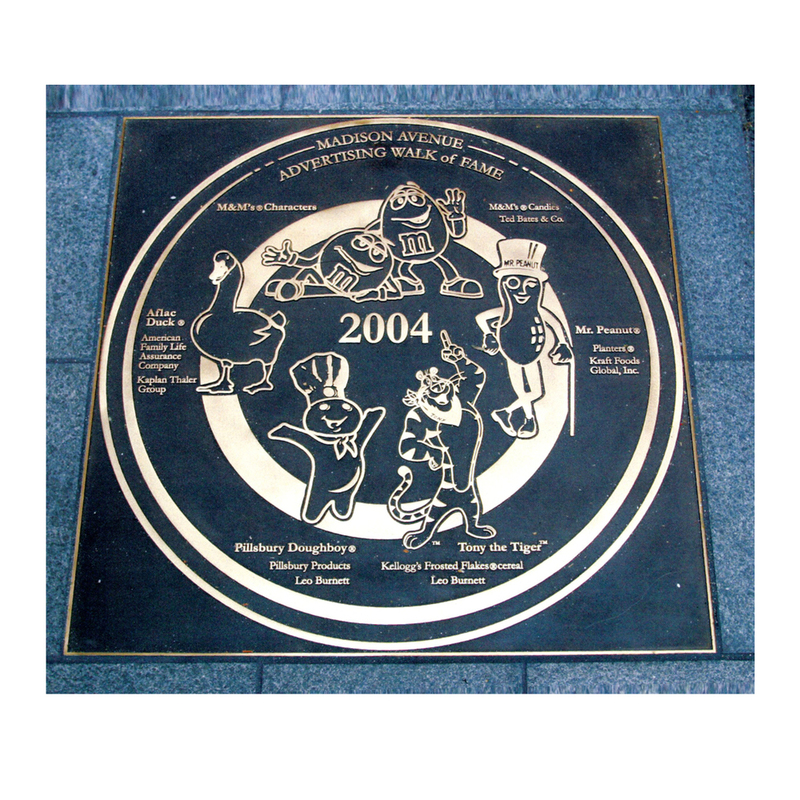 The business-winning Aflac duck campaign that we created and led for over 12 years (including all aspects of digital and social media) is in textbooks, the Harvard Business Review and on the Advertising Walk of Fame. 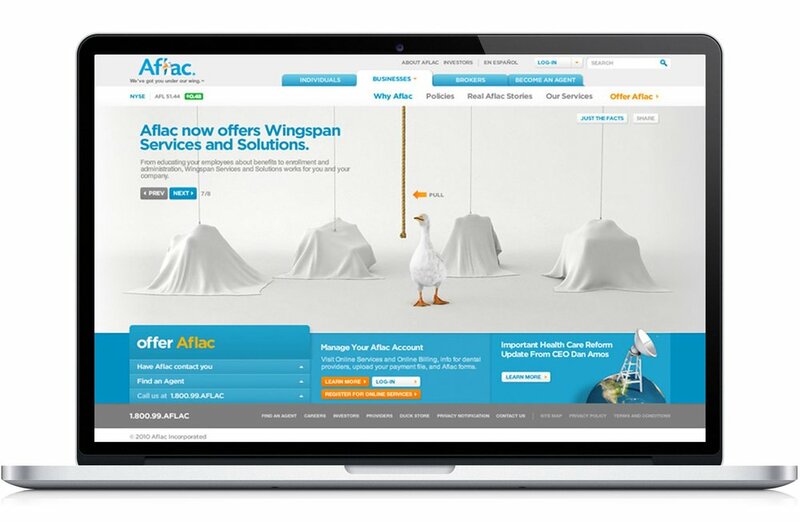 Aflac was a little-known brand with 30% awareness after having spent $40-$50 million a year for 10 years. 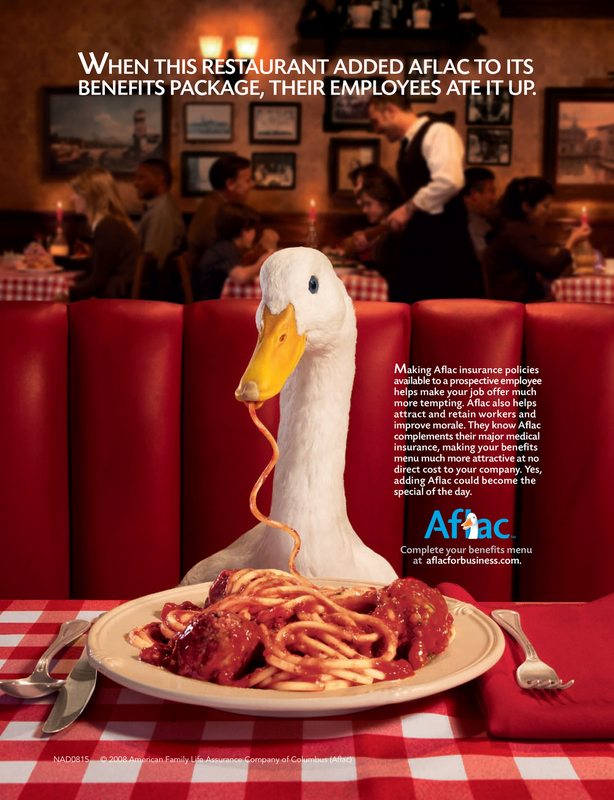 In just two years of the duck campaign, awareness jumped to 92% and Aflac went from a $4 billion company to $11 billion. 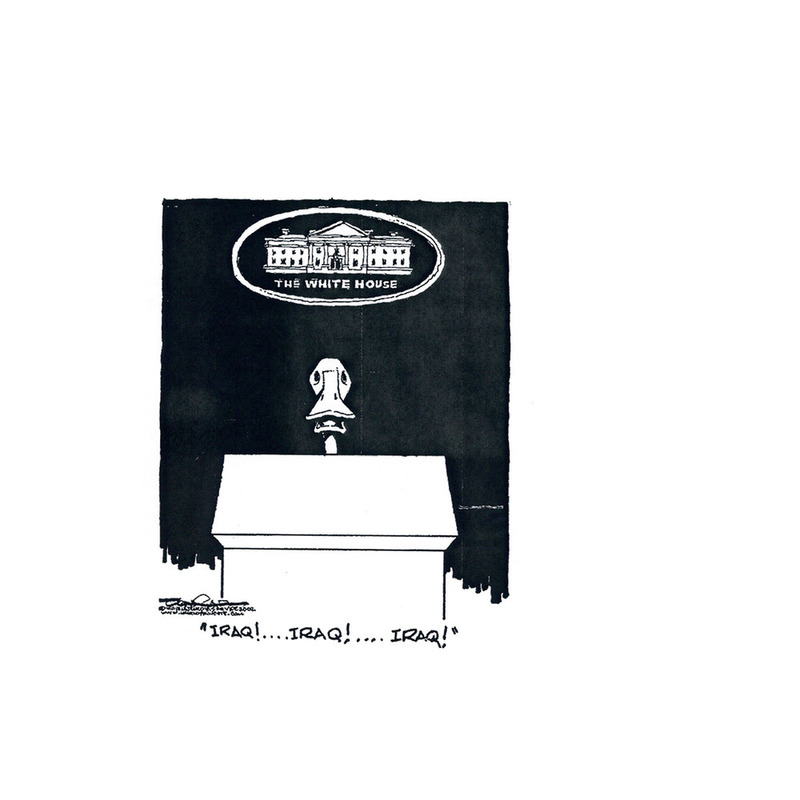 As Aflac’s CEO told CNBC, “And all that changed was the advertising.” The campaign continues to this day. 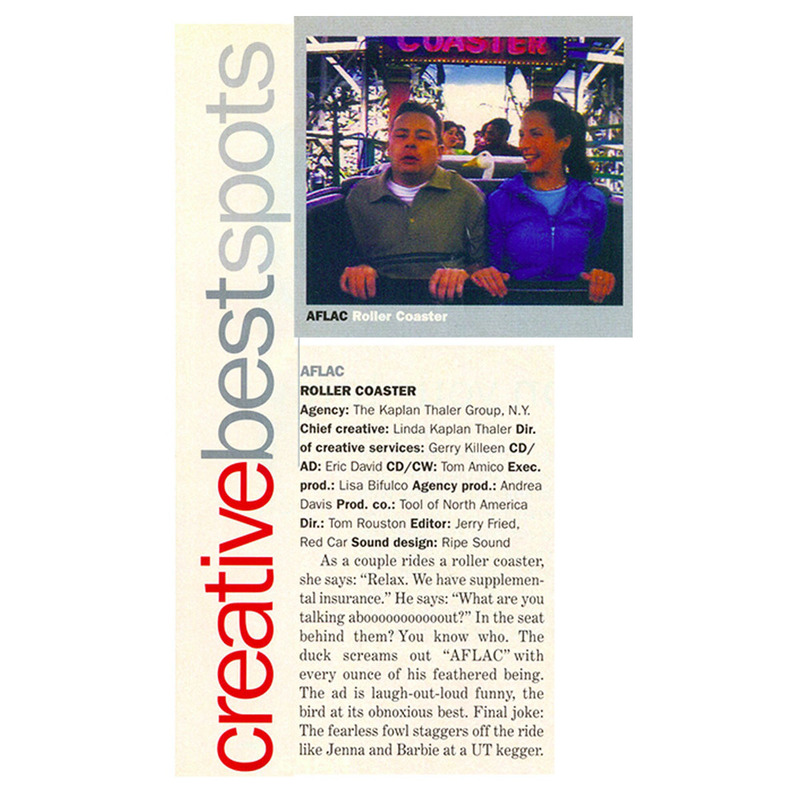 Click here to see our interview for the Advertising Icon Museum. 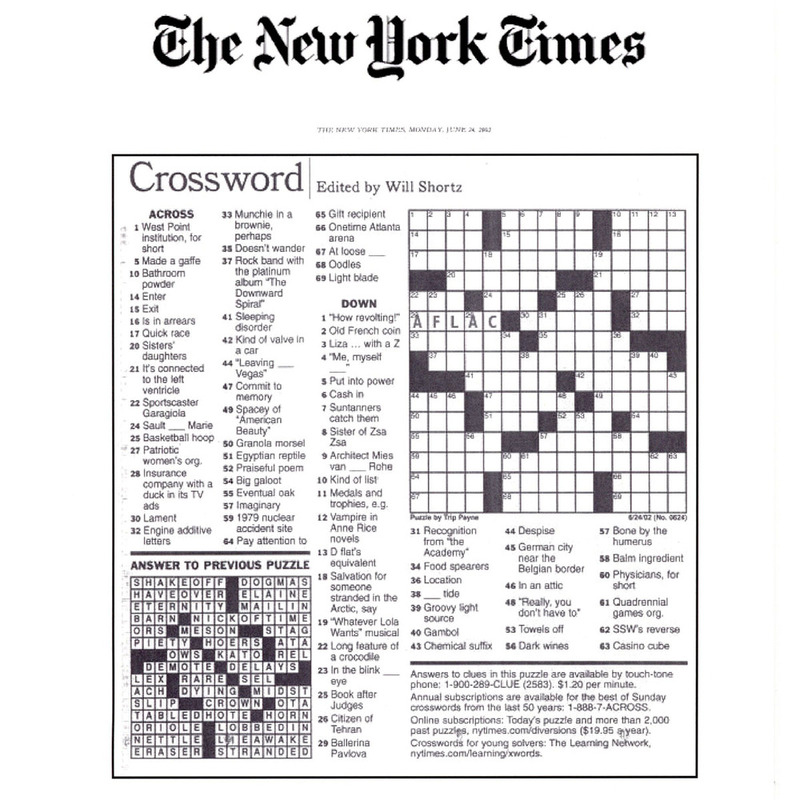 Below are some of our favorites from the campaign. From catastrophe to Titanium Cannes Winner. 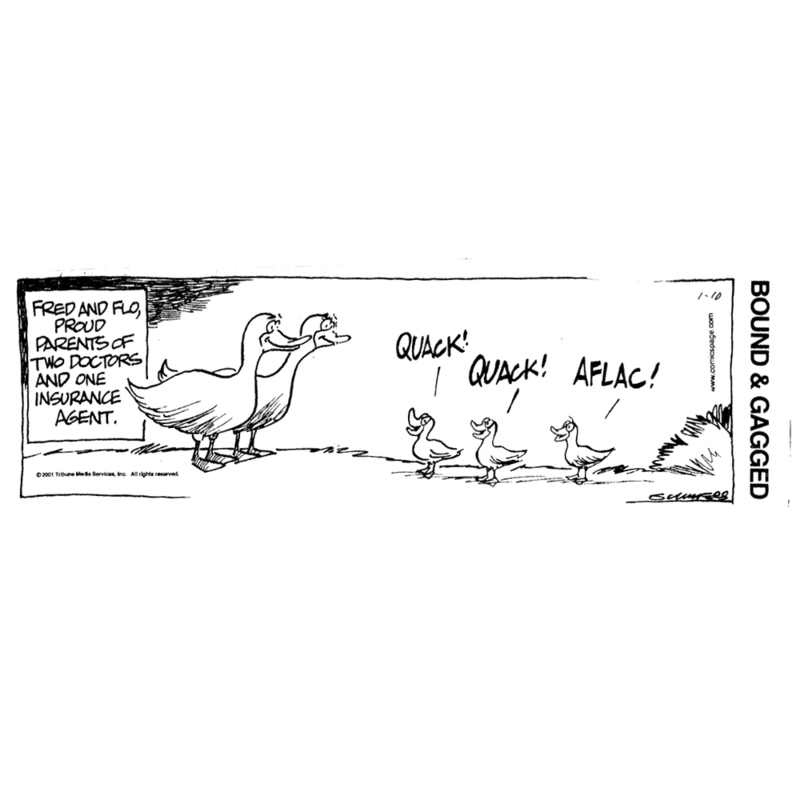 When longtime voice of the Aflac Duck, Gilbert Gottfried tweeted distastefully after the tsunami in Japan (where Aflac has 80 percent of its business), Gilbert was fired. 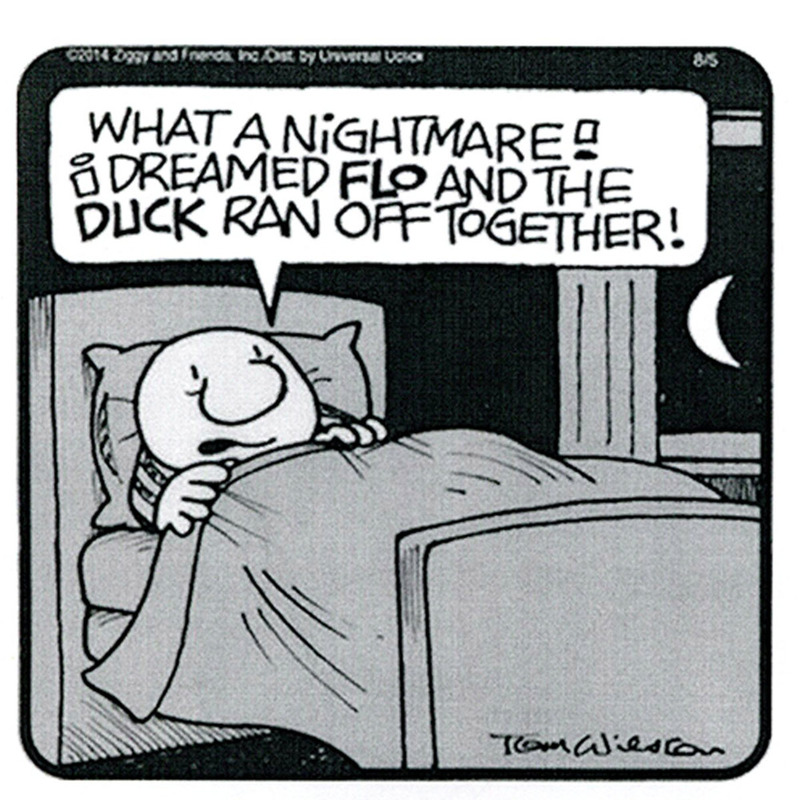 How to save the duck and find it’s new voice? A huge multi-platform effort relying heavily on social media, resulted in a nationwide search for the next voice of the Aflac duck (meaning Tom and Eric listened to every single one of the 12,371 voice auditions!) before settling on one from Hugo, Minnesota. 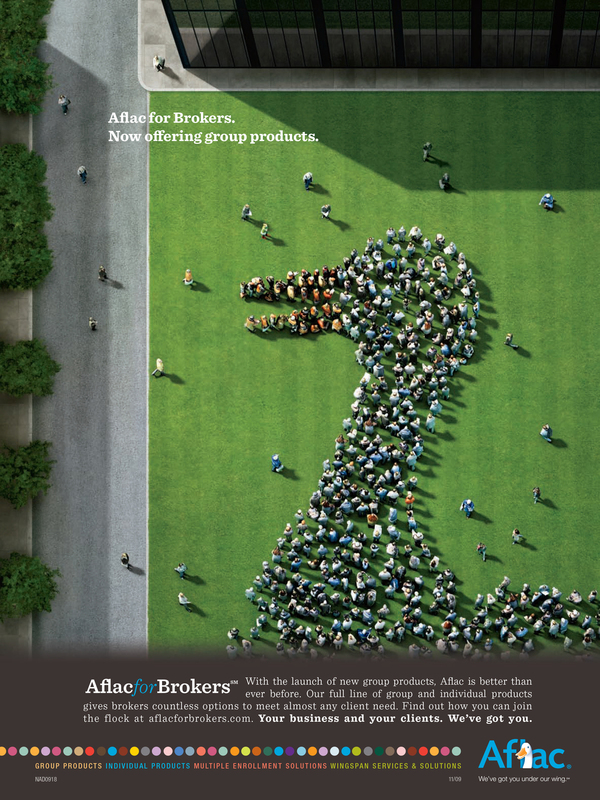 After doing the Aflac duck consumer campaign for five years, we recommended a B2B campaign. Within months new account growth increased 10%. Midsize business accounts went up 20%. Brokers control a lot of the action in the insurance business. 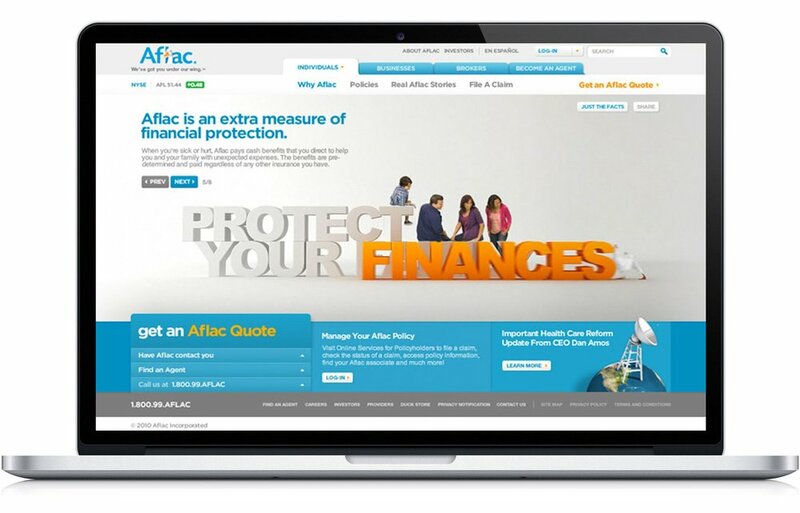 However, Aflac's business model was based on their own sales force driving sales. 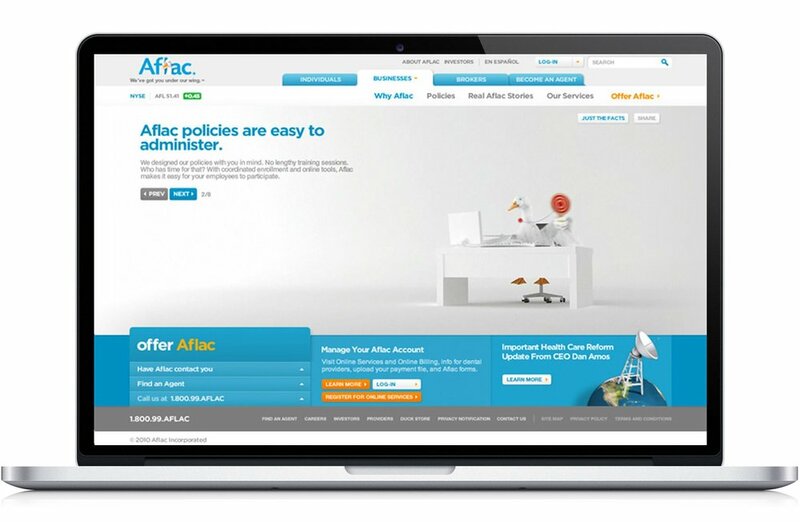 This resulted in a still-thriving relationship for Aflac and insurance brokers.